We are from SADA MEE SEVALO(Home service provider and the event organizer). 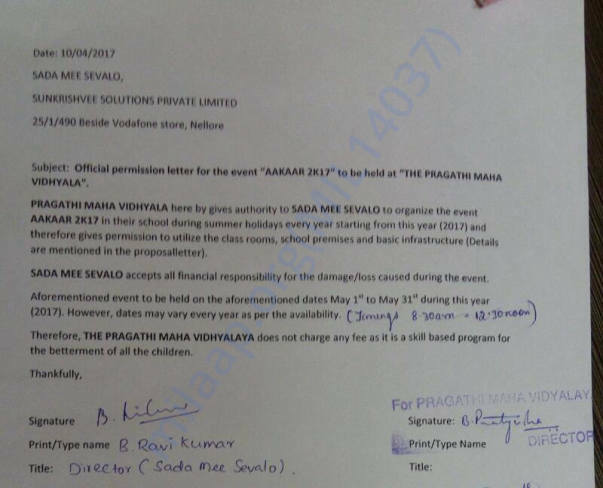 Sada Mee Sevalo is a small local business in Nellore. We are interested in conducting a summer camp because nowadays children are undergoing lot of stress in terms of education, high competition, meditatorslack of love etc..and the working parents cannot give them much time because they are busy with their own jobs. We are mediators and Yoga practitioners personally who believe in certain things like understanding the psychology of the children, treating them with love and care by dedicating time to them and guide them can help them over come stress, fill their lives with self love, confidence, joy of learning etc. So We have designed a summer camp. 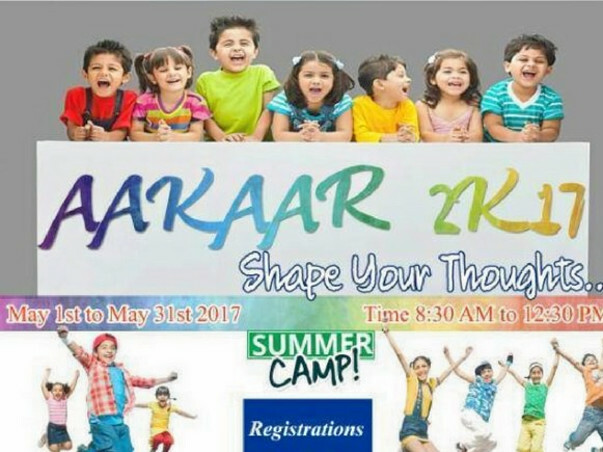 "AAKAAR2K17- Shape your thoughts" is a summer camp that is going to be organised from May1st to May 31st. 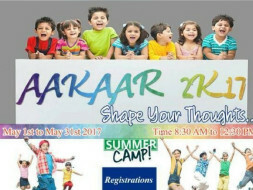 This summer camp is for the children from 3years-16 years age group.This summer camp is designed in such a way to develop the children physically, mentally, intellectually and spiritually.This summer camp main motto is to understand the psychology of the children and to fill their lives with fun, happiness, knowledge and joy. This is not just like other camps for commercial purpose.It's main intention is to bring change in the education system .This session also allows them to express themselves and to break the communication gap between the children, parents and the teachers and build healthy loving relationships. Even if one kid has changed through our summer camp he/she can change the world and if one mother has transformed through our sessions she is going to change the entire family and their life style and if one teacher has changed through this can change and brighten many thousands of children lives. 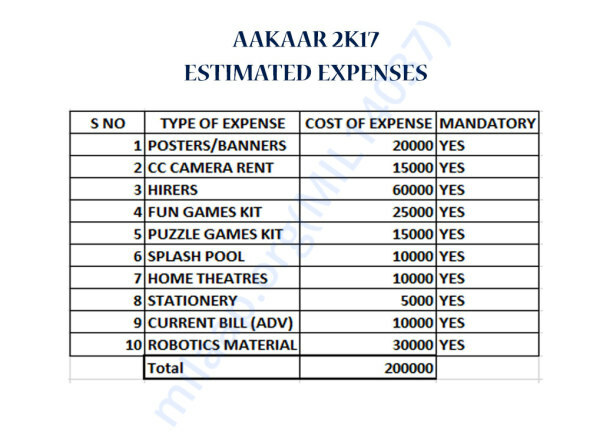 We have started with our own money ourselves but are just able to manage pamphlets and banners. As we are managing with least pamphlets we are meeting the people in personal and explaining them though getting the registrations but it is slowing the registration process as we can hardly meet only few people in a day. As we don't have that much time to find another sponsor or so. We have started our works and putting all our efforts in this without wasting any time to make this event happen. We are approaching Milaap for this because we don't want a good cause project to be stopped just for money. Thank you..! !